Game of Thrones brought a portion of its prodigious cast to Comic-Con once again this year, and once again the panel was epic. We were denied the attendance of Tyrion, Tywin, and Hodor, but we did at least get to say goodbye to three cast members… or is it only two? They were very cagey about whether The Hound was dead. Very cagey indeed. 1. The cast stays in character. 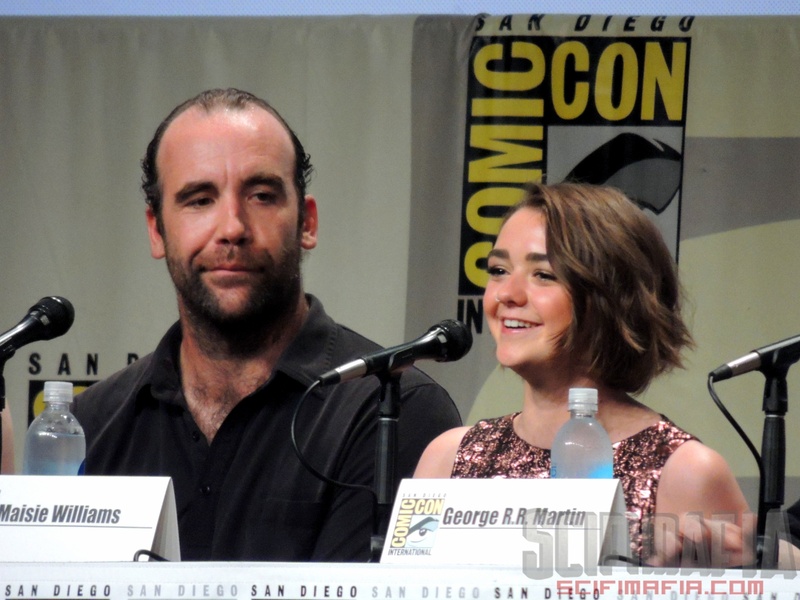 Amidst much cheering, Rory McCann (The Hound) arrived on stage, cradling his ear and mimicked hobbling to his seat. 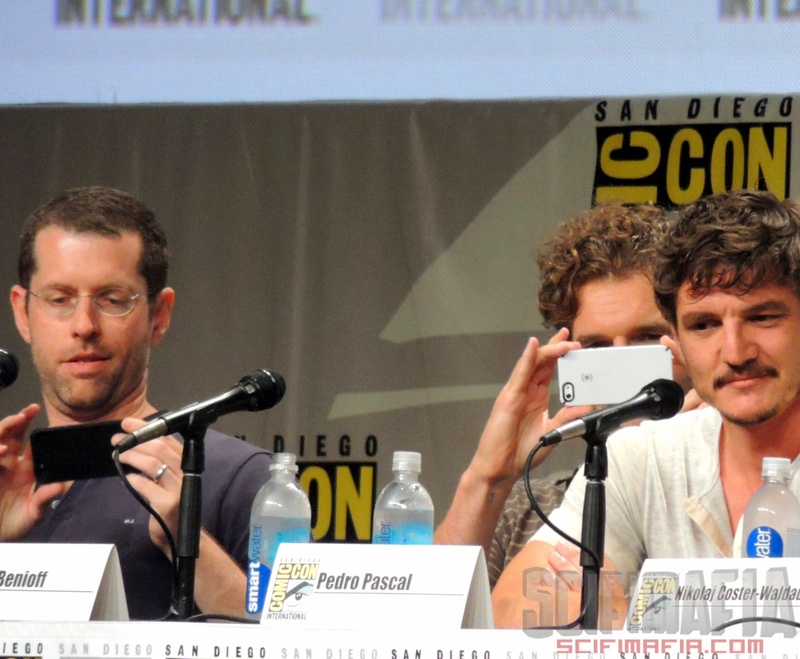 Pedro Pascal (Oberyn Martell) came out holding his head and scrunching his eyes closed. Both entrances were wildly appreciated. 5. Someone still remembers Benjen Stark. A fan dressed as the missing first ranger wanted to know why no one seemed to be looking for him any longer. 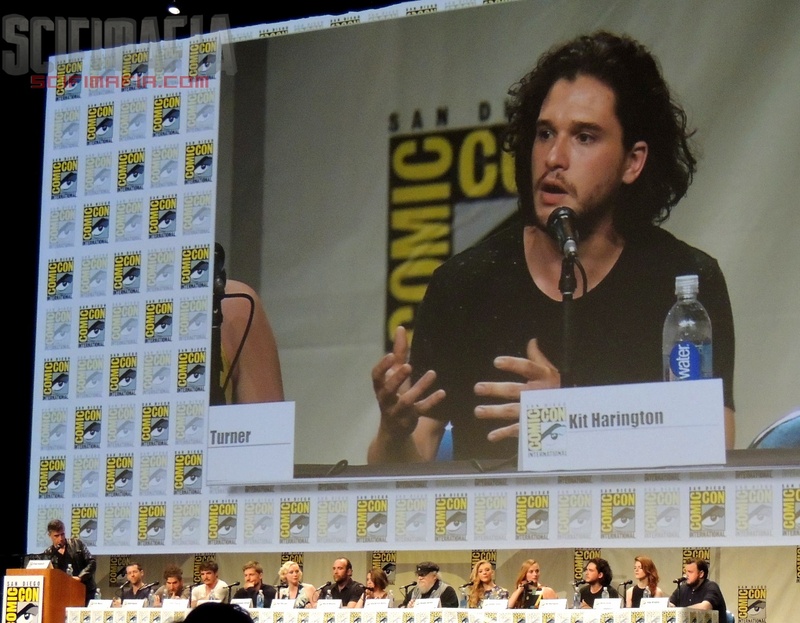 Deflected Weiss, “It was Kit’s idea, he said pointing at Kit Harrington (Jon Snow). 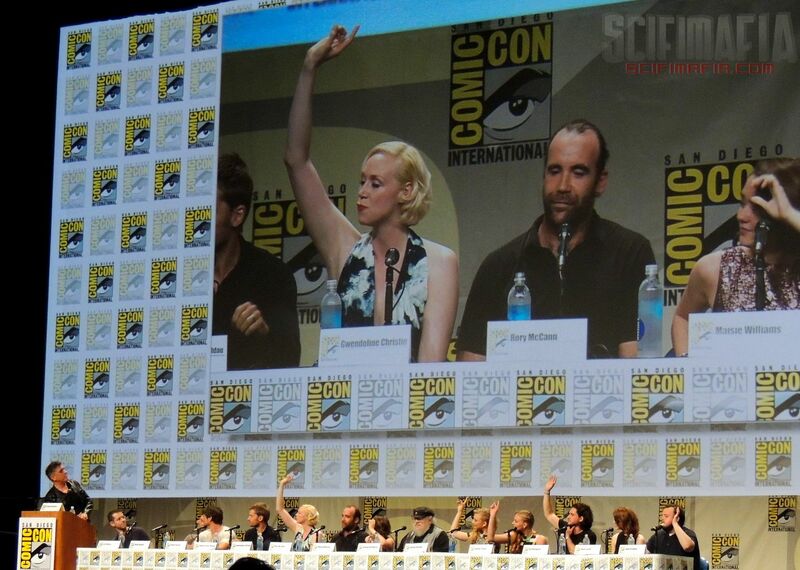 “I got distracted,” said Harrington, pointing at Rose Leslie (Ygritte). 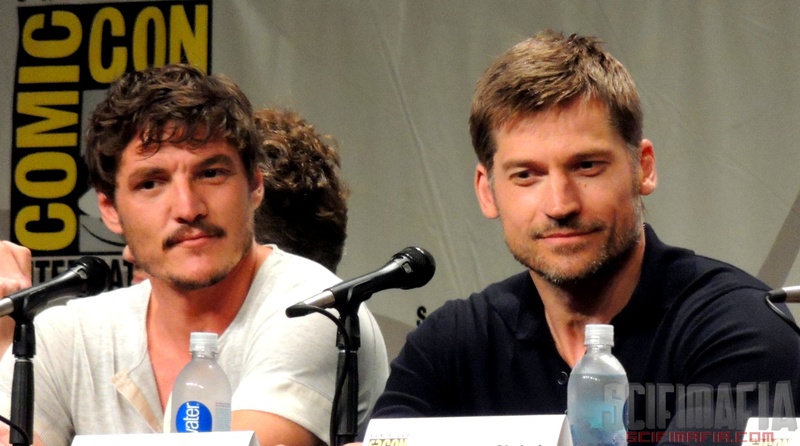 SAN DIEGO, July 25, 2014 – HBO has confirmed some of the new cast members for the fifth season of the hit series GAME OF THRONES, with many of them appearing in a video that was unveiled today at Comic-Con International: San Diego 2014. Based on the bestselling fantasy book series by George R.R. Martin, GAME OF THRONES is an epic drama set in the world of Westeros, where ambitious men and women of both honor and ill-repute live in a land whose summers and winters can last years. 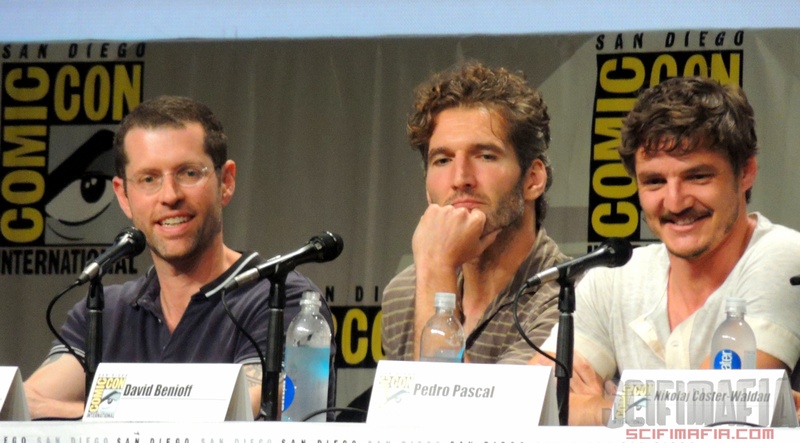 The Emmy®- and Golden Globe-winning fantasy series concluded its ten-episode fourth season in June, with the fifth season scheduled to launch in 2015. Cast regulars for the fourth season of GAME OF THRONES included: Emmy® and Golden Globe winner Peter Dinklage, Nikolaj Coster-Waldau, Lena Headey, Emilia Clarke, Charles Dance, Aidan Gillen, Jack Gleeson, Kit Harington, Diana Rigg, Sophie Turner, Maisie Williams, Isaac Hempstead Wright, Alfie Allen, Jerome Flynn, Conleth Hill, John Bradley, Gwendoline Christie, Liam Cunningham, Stephen Dillane, Natalie Dormer, Iain Glen, Kristofer Hivju, Sibel Kekilli, Rose Leslie, Rory McCann, Michael McElhatton, Iwan Rheon and Carice van Houten. Game of Thrones returns with Season 5 in 2015 on HBO.